Palmer's are well known for their famous Cocoa Butter Body range but who knew they did hair too? Well you might have had an inkling as I featured the Manuka Flower Honey Leave In Conditioner in my Currently Loving post last month and today I'm diving further into the range. The new Manuka Flower Honey hair range contains, surprise, surprise, Manuka Flower Honey, the far superior to it's 'ordinary' honey cousin. Harvested directly from New Zealand it is a superfood high in antibacterial potency, vitamins, protein and amino acids. And if you're working with dry hair and need to help return it to a softer appearance then enter additional ingredients; Cocoa and Shea Butter in addition to Amla Oil which derives from Indian Gooseberries. 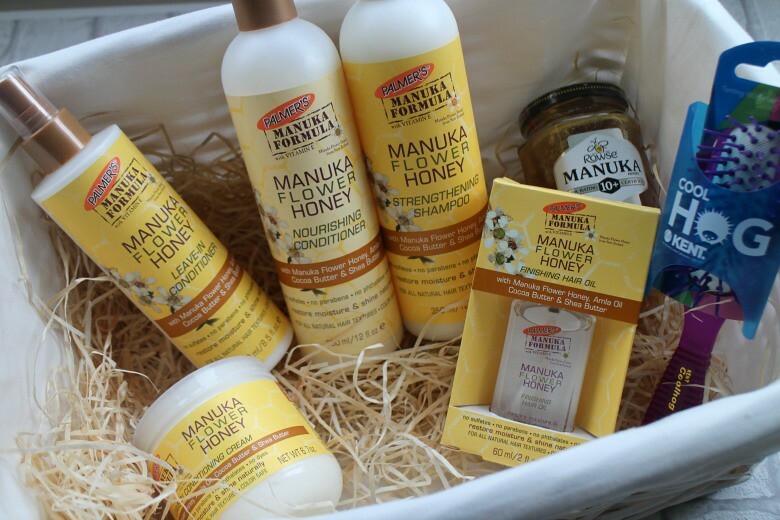 I first received the basket of Manuka Flower Honey hair goodness when I was a brunette and was slightly underwhelmed. With already excessively greasy hair I found the Manuka Flower Honey ingredient and it's moisture attracting properties to heavy for me but now I've got bleached hair it's doing wonders. Starting with Palmer’s Manuka Flower Honey Strengthening Shampoo* and Nourishing Conditioner*, the former to cleanse and purify your hair and scalp and the latter to infuse hair with moisture which will leave dry hair soft and manageable. It's not my favourite shampoo and conditioner duo but it is one I like and have returned to now my hair is coloured, having previously cast it aside. Whatever my hair type I do love the Manuka Flower Leave In Conditioner* as it worked for my natural hair as an extra hit of conditioning or now, to allow me second and even third day hair. I don't suffer with particularly knotty or tangled hair but on days when I've not taken care with the hairbrush a few sprays of these and I can get a hairbrush through without any tears. An even heavier leave in conditioner is the Palmers Manuka Flower Honey Leave-In Conditioning Cream* which I use as something of a mask or on days when I'm not wanting to wash my hair but feel like giving it a treat when lazing on the sofa having a Netflix binge. It's a thick cream which I think even now would be too much to use as a typical conditioner, but again if you're suffering from extremely dry hair this could be a saviour as I know that it leaves my hair far more glossy and helps combat the regular use of a hairdryer. Finally in the range is Palmers Manuka Flower Honey Finishing Hair Oil* which I've not yet used myself. 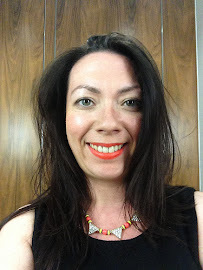 Once again I've always cried away from hair oils as I've not needed them but now a small drop of oil smoothed into my ends, especially if heat styling works a treat. If you're hair is dry and crying out for moisture and you're looking for an affordable haircare range this is definitely worth trying. *this post contains press samples and affiliate links.